If you are looking for a prepaid card that can help you reestablish a new, solid credit foundation, the Horizon Gold Subprime Card could help you. In the first place, you will love the fact that there is no credit check and an almost immediate approval. All you have to do is fill out the application and they’ll hand you a new card, in a manner of speaking. Of course, this is a prepaid style debit card, so the card itself is only worth as much as you deposit. Although this is not exactly like a credit card, it still provides you the convenience of using credit at many locations in your local vicinity, across the nation, worldwide, and online. However, you do not have to pay an annual fee to carry this card and there is no initial setup fee either. Although you do not have to verify your income or your employment, this card will still report your payment history and credit use to the three major credit bureaus. 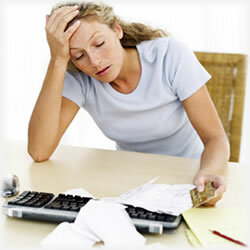 This helps you to rebuild your credit without the fear of high APRs, hidden fees and charges, and over-the-limit fees. With just a few months of responsible behavior, you can start to see your credit score improve. The BabyPhat Prepaid Visa RushCard is another debit-style card that lets you make deposits so that you can have the convenience of plastic wherever you go. Whether you need to rebuild your credit because of bad choices you made or simply because you had a turn of bad luck, you will find this card’s features come in very handy. One reason you might like this card is because there is no annual fee, which is somewhat of a rarity with cards designed for rebuilding credit. There is a small setup fee, but that is really nothing, especially when you compare this card to similar ones. Perhaps the best benefit of this card is that you can have your bill paying records reported to the credit card bureaus. This is the basis of reestablishing your credit and before long you’ll find your score beginning to improve. Because it is a Visa card, you will find that you can use it anywhere in the world that Visa is accepted, as well as on the internet, which makes using the card very easy too. If security and maintenance is important to you, you can even get free text alerts sent to your phone to help you better track your finances. The folks at Orchard Bank seem to really understand the financial hardships that could potentially befall in your life. Perhaps this is why many of their financial products are designed for the purposes of credit repair and rebuilding. Their unique service takes one simple application and uses your information to find a card or a handful of cards that are appropriate for you. If you have been denied recently and are in search of some credit card options, it might be a good idea for you to apply on their website. You never know what they might be able to offer you. That’s not to say that you will be able to get the kind of card you want, but they can probably get you started with something that will help you rebuild your credit. Their catalog of credit cards feature a bevy of incentives and rates which are served to describe the full range of available products you can choose from. If you elect a secured card, for instance, you might be able to lock in a lower interest rate, since your security deposit is like a good faith payment. If you don’t have enough for this deposit, which is like a down payment, you might also consider one of their other higher interest options. Similarly, you can expect a range of annual fees that vary according to the type of card that you have. You can also expect the same rates and charges that you will find from other credit card companies in regards to things like currency exchange, and cash advances.